Right before we opened our pool in May, we had several weeks of rain. During those weeks, toads laid eggs on our pool cover. I scooped out as many as possible and placed them in a cooler. After several days, I decided to move them to our koi pond. Ammon, Carter, and I enjoyed visiting “our” tadpoles from time to time and watching them peep at us then suddenly swim to bottom of the shallow pond. When we returned home from our cruise they were all gone; however, I have recently seen quite a few small toads around our back patio. It does my heart good to think they are the tadpoles we saved! 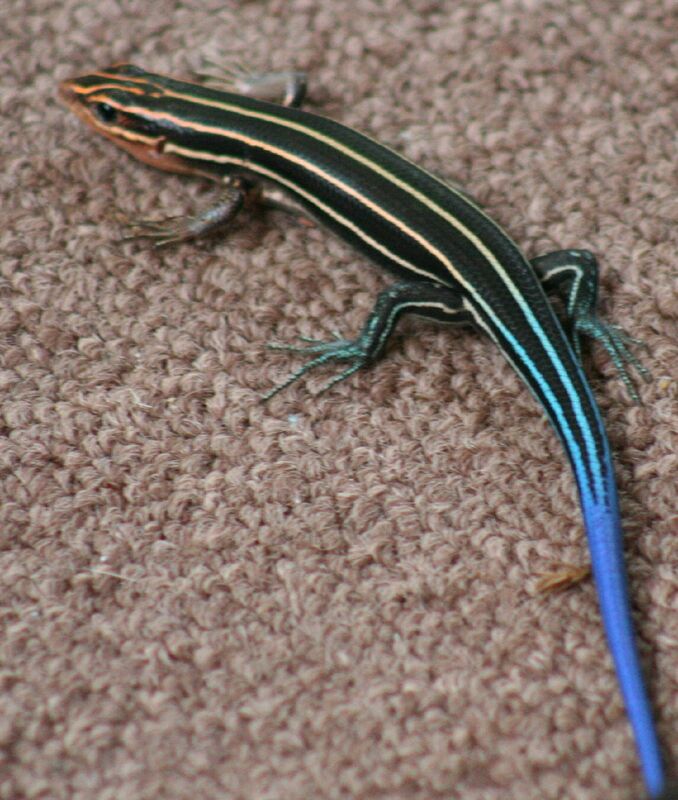 This summer we have also had a large number of blue tailed skinks. They are so funny and quick. I am so glad we have both the toads and the skinks. I know they are eating some pesky bugs such as mosquitoes and gnats. I will miss them in this coming winter.